“Senganmon” (Natural Stone Gate) is a strange rock in Matsuzaki, Shizuoka Prefecture. 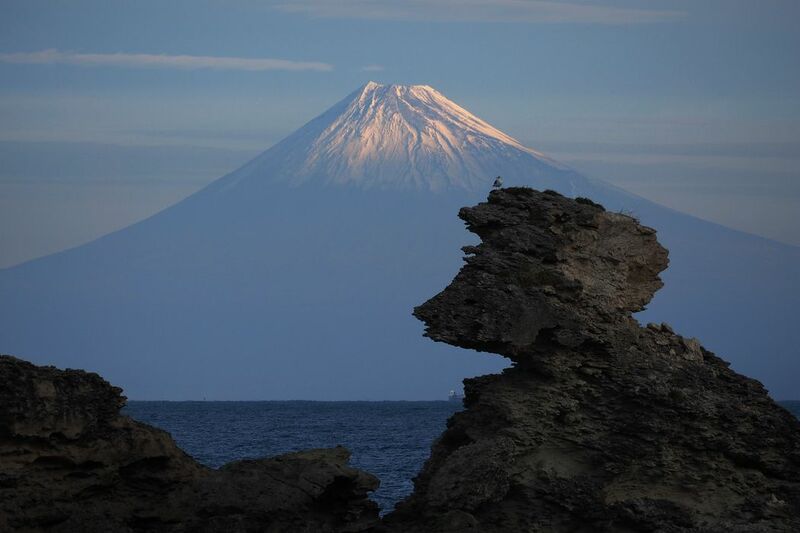 Its identity is the root of a volcano called “volcanic neck”. It was once in the ocean floor, uplifted and became the current figure. 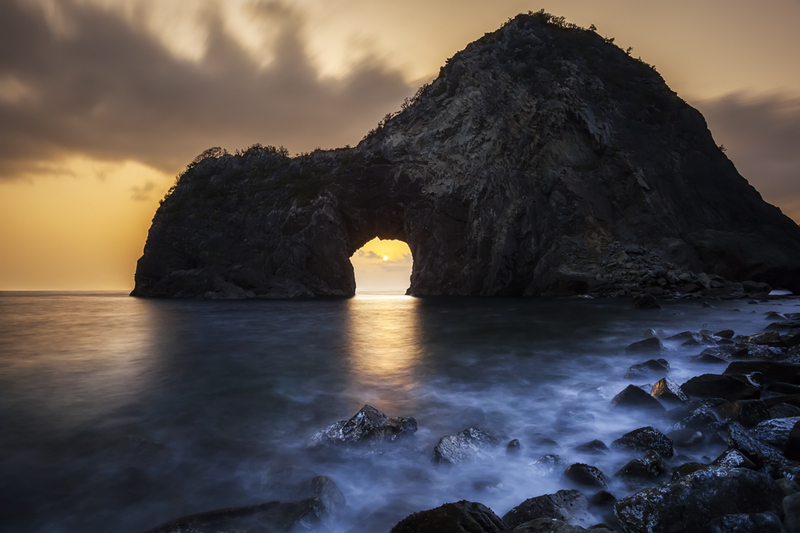 In the central part of Senganmon there is also sea cave by wave erosion, it looks like a gate. Recently, it became famous as a spot for snorkeling. “Senganmon” is a scenic spot named in the sense that “worth seeing is ‘Sen-kan’”). Even now, there are always people who visit this unusual landscape. 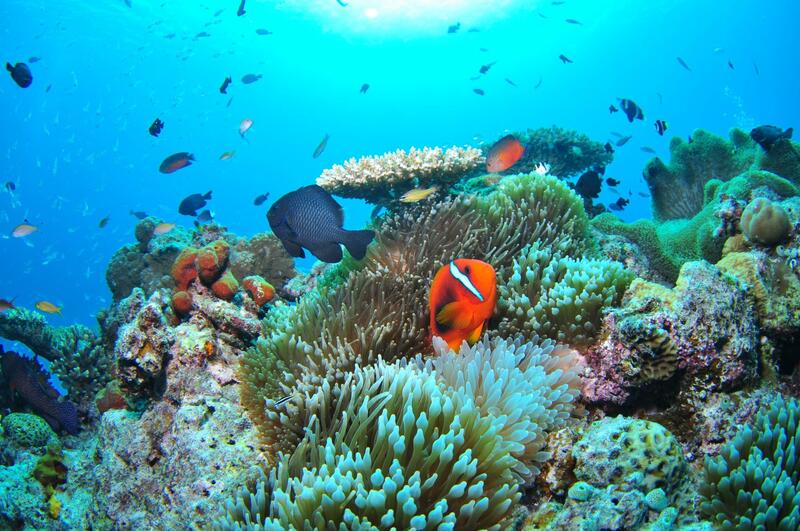 There are abundant marine life in the sea near Senganmon. The water transparency is also high and you can enjoy a spectacular view of the ocean even with simple equipment. It is also advisable to go through sea cave when the waves are on a calm day at low tide. To enjoy snorkeling, go down the coast from the Senganmon promenade. The coast is a rocky place and there are no changing rooms or showers. It is necessary to bring all necessary items. You can also see Senganmon from the ocean by using the cruise boat. The journey time is about 50 minutes. 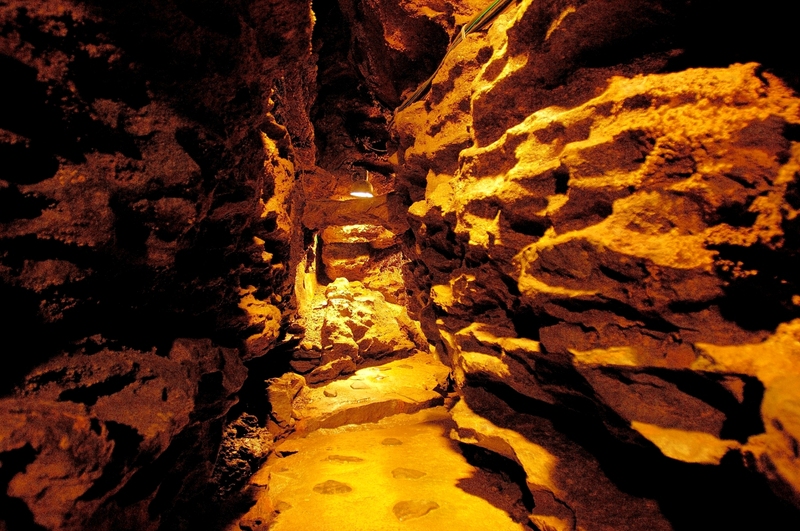 The ship also goes through the sea cave which opened to Senganmon. 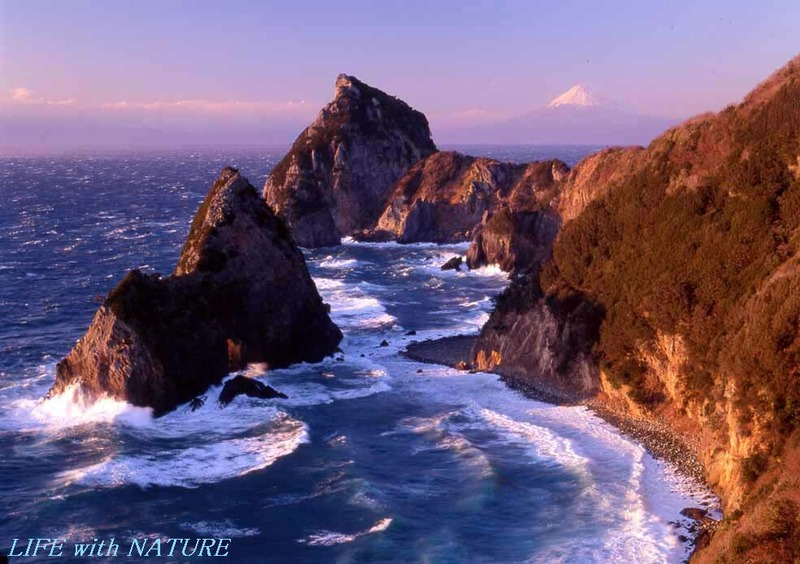 In addition to Senganmon, it is recommended for those who want to enjoy various landscapes as they travel around the sea sights of the west side of Izu. Pleasure boats are operated all year round, but the waves are likely to be rough in winter and it is important to note that cruise cancellation will increase. 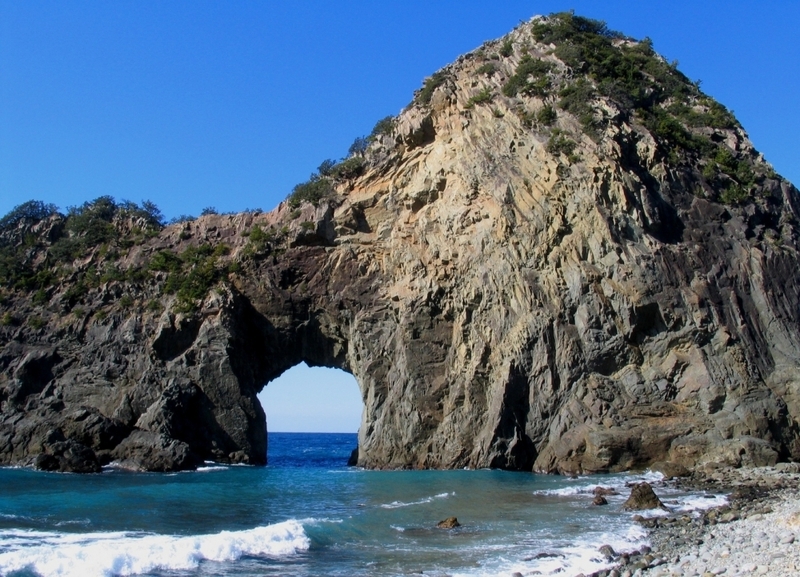 The southern part of Matsuzaki-cho, Shizuoka, the “Senganmon” (Natural Stone Gate) is the marine cave standing in front of Kumomi. There is the tunnel of 15 meters in height, 10 meters in width in the center of the reef of more than 30 meters above sea level. 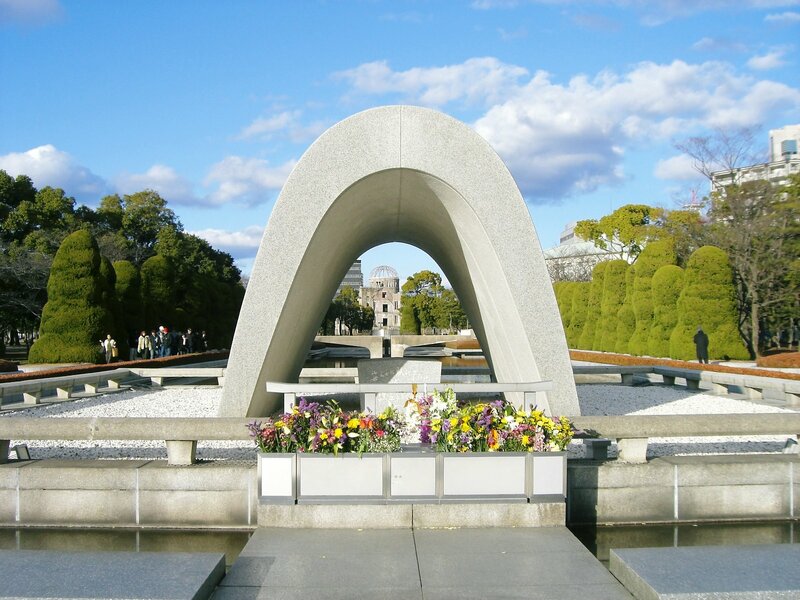 Tradition says that the name has changed from “The Sengenmon” as the Gate of Sengen-Jinja shrine to “the Senganmon” as “the Sen-kan-mon” (thousand kan-mon : “kan-mon” is Japanese old monetary unit) that means this scenery is worth of 1,000 kan-mon. The Senganmon is a part of the rocks made by an elevation of the magma, and the sea cave, which was made by the erosion of the waves, looks like “the gate”. This is regarded as the gate of the Kumomi Asama-Jinja Shrine at the summit of Mount Eboshi. You can look at the superb view of sheer violent cliff and Mount Fuji from the place slightly away from the promenade of the Senganmon. The scenery from here is dynamic and beautiful nature spreading in front of your eyes.